Designed and developed to meet the demands of various schools, institutions, research centers and laboratories, we know their usage and accordingly manufacture these scientific laboratory equipment. 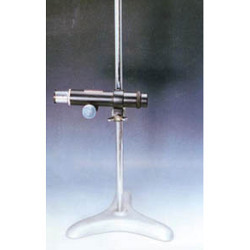 All our products like chemistry laboratory equipment, physics laboratory equipment and biological laboratory equipment are designed under the guidance of experts who have been in this field and have complete market knowledge. Our products are our hallmark for excellence and this can easily be seen in the clarity and perfection with which they are made. Our popular product range includes Scientific Instruments, Laboratory Instruments, Laboratory Glassware, Laboratory Plasticware, Biological Models, Physics Equipments, Chemistry Products, Microscopes, Slides & Charts, Laboratory Woodenware, Laboratory Porcelainware and many more.